Touch or Tap the screen to make the ball jump and defeat the obstacles in the endless Helix Tower 3D game. Move fast, don't let the stairs get you or you'll fall in the Helix Tower 3D or Spiral Tower 3D game! This addictive arcade action game easy to play and fun to master in the Helix Tower 3D obstacles game ! This addictive arcade action Helix Tower 3D game features multiple missions and more than 50 obstacles to avoid. Tap very carefully when rolling the ball, if you lose the game don’t worry you can continue from where game was over by playing a reward video ad. Spiral Ball Tower: Obstacle jumper is a time killing game when feeling bore or travelling and you can’t wait. 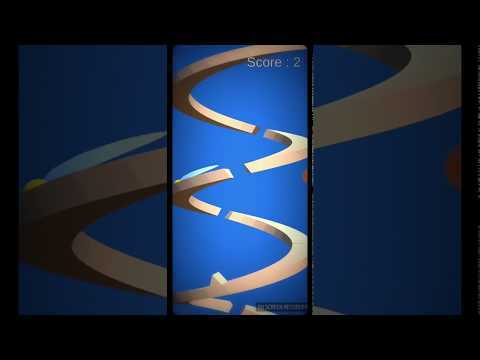 Defeat the obstacles and hurdles in the Helix Tower 3D and Score high in the Helix Tower 3D . - Full game ready to use. - Input Touch and Mouse Input controller using event delegates for mobiles (Apple's iPhone, iPad, iPad Pro, Android Phone, Android Tablet, Windows Phone, Mac OS X, windows PC). In Documentation you can search detail information how reskin.